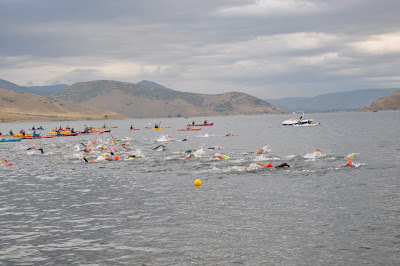 As anyone who was at this year's Deer Creek Open Water Marathon Swim can tell you, it was a wild ride. A combination of wind, lightning, rain and some hail added to the already challenging 1 mile, 5K, 10K and 10 mile courses. If you have additional input or corrections, please email Jim Hubbard at jim@wadsco.com.